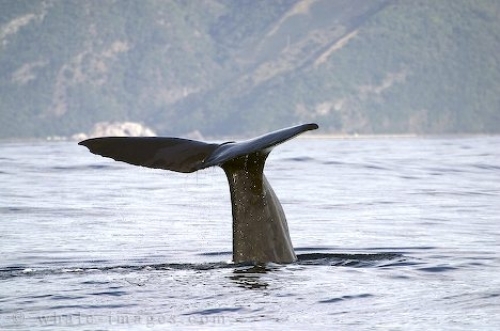 New Zealand Animals - Sperm Whale, Physeter Macrocephalus, Kaikoura, New Zealand. The sperm whale is among the vast variety of New Zealand animals you would see in the coastal waters, during a typical day spent on an excursion from Kaikoura as well as large pods of dusky dolphins. Other varieties of New Zealand animals you may encounter include Hectors, Risso's, common, and the southern right whale dolphins. Of course then there is also the orcas, humpback, fin, pilot and so much more.